The Everest Base Camp Trek is the most popular trek in the Nepal region and one of the most iconic and well-known treks in the world. After a nerve-racking flight into Lukla airport that is sure to get you pumped up, you will retrace the footsteps of Sir Edmund Hillary, Tenzing Norgay and the countless other brave men and women who have summited Everest after them. The route takes you through the beautiful Sagarmatha National Park and eventually ends up at Everest Base Camp, where you will feel the buzz and excitement of potential summiteers of the world’s tallest mountain (the main climbing season kicks off in April and culminates in the 3rd or 4th week of May). Popular questions asked about the Everest Base Camp Trek always seems to follow the similar pattern of ‘how hard?’, ‘how long?’ and ‘how high?’. This article will cover the raw data behind the trek to answer all those burning question about distance, length and elevation. To get a better understanding of how challenging the trek is, read our in-depth article on the difficulty of the Everest Base Camp Trek. The classic Everest Base Camp trek from Lukla to EBC and back is 130km long – 65km each way – which may sound like a lot of trekking! Fear not, because the typical round trip to Everest Base Camp takes around 12 days, the actual distance you will be covering each day will be about 15km – a much more reasonable and achievable number. Furthermore, the average walking pace is about 5km/hour, so 15km per day does not sound too bad anymore. Obviously, you will not be trekking at that pace because of the rocky terrain, gradual ascent and high altitude gains that have to be made. The point being made is that the distance is very attainable for all people of all ages, shapes and sizes! If you book through a tour operator, you will likely have the luxury of having your large bags carried for you by porters or by yak / mules. This should further take the strain off your body and allow you to focus on getting yourself safely up and back down the trail. The typical length, in terms of time, of the Everest Base Camp trek is around 12 days. There are variations of standard route, like Jiri to Everest Base Camp and Gokyo Lakes trek, which take longer. The outward route from Lukla to Everest Base Camp is significantly longer, in terms of time, than the return route to allow for proper acclimatization and to minimize the risks of Acute Mountain Sickness and related illnesses. 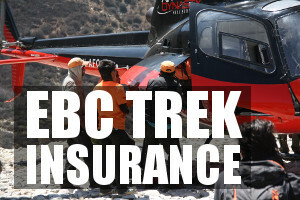 It should take around 9 days of trekking to reach base camp and just 3 days to return to Lukla. Day 1: Arrive in Kathmandu where you will spend the night. Day 4: Acclimatization day. No walking except maybe a quick hike up to the Everest View Hotel. Day 7: Acclimatization day in Dingboche. Explore the area. The most challenging element of the trek is probably elevation. Even at the start of the trek at Lukla airport you will be at an altitude of over 2,600m. 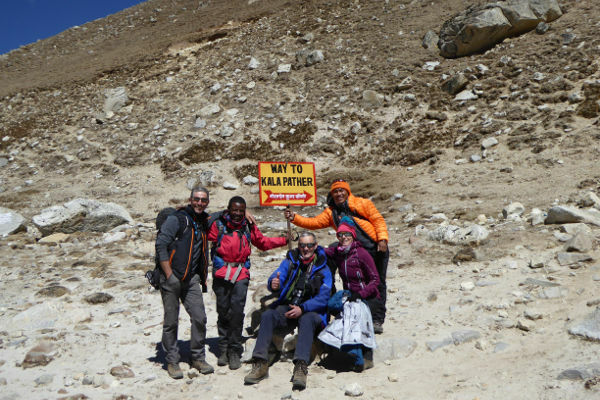 As most people’s bodies are not used to these altitudes, the trek involves acclimatization days and the ascent to Everest Base Camp will occur at a much slower pace than the descent to allow for acclimatization and to ensure safety. Typical elevation gains will be in the range of 400-800m each day. Days when the gain is large and the altitude is significantly high will usually be followed by an acclimatization day that doubles up as time for some sightseeing and exploration of the surrounding areas. Here is an Everest Base Camp trek elevation and altitude profile for the standard trek. The highest point on most Everest Base Camp Treks tends to be the Kala Patthar viewing point where you will be blessed with some of the best views of Everest and the nearby peaks. Kala Patthar stands at just over 5500m, but not too much time is spent at that altitude as the trek then descends back down to Pheriche and eventually back to Lukla Airport. Hopefully these facts and figures have convinced you set out on your own trek to Everest Base Camp – if so, happy trekking! Hi Mark, just wondering if Island Peak (in November) is do-able for my son who will be 17 years old. We’re both pretty fit but we don’t have any climbing experience. I did EBC in 2014. Cheers. on the clair ridge oil platform we climb 17km per day.8.5 up and 8.5 down….how many times do we climb the equivolent of everest per week ? Hi Donald, I’m not sure the answer to your question. I would estimate that on the average day on the EBC trek, you gain about 800-1500m in altitude and lose about 400-800m. The average elevation gain is about 400-800m per day. Hope this helps. Looking over the Everest Trek itinerary (which is similar to other organized Everest treks), it seems a little ambitious for the uninitiated. What I mean (and I’ve done the trek independently as well as extensive mountain climbing and backpacking in the Cdn. Rockies) is that while each day’s trek is reasonable, the day-after-day grind will wear down some people. I would recommend anyone attempting this pace first do some multi-day backpacking in the mountains to see how he or she reacts to what is a fairly relentless pace. A Stairmaster is a poor substitute. Also, people who’ve not trekked high up (above 12,000 feet) should know that altitude brings new challenges. Hi Murali, the distance from EBC on the south side (Nepal side) to the summit is approx. 20 kilometres. The altitude gain is nearly 3,300 meters though. Hi, I would like to do EBC on my own since having a porter or a guide with me all the time does not work for me. I am wondering how safe it is to hike alone for a female. I am also wondering if getting accommodation can be a problem if you dont book in advance. Finally, is the path well marked. Many thanks! Hi, it is possible to trek solo and if you go during the high seasons (March-May or September-November) then there will be quite a few people on the trail. Getting accommodation each day should not be a problem but you might not get your pick of teahouses. Generally porters run ahead of trekkers to secure the best teahouses. The standard EBC path is not well marked but maps of the region are very detailed and easy to follow. All the best! Why is there so little time spent at EBC? Hi Laurie, There are a few reasons why the time at EBC is limited. Firstly, trekkers cannot actually get all the way into the camp. The stop point is just before the camp, and there isn’t a huge amount to see. 10-20 minutes there is more than enough. Secondly, EBC is a good two hour hike from the last tea house at Gorak Shep. So to hike there and back means hanging around EBC is not recommended. Finally, the best views of Everest, the surrounding mountains and EBC is from Kala Pattar, which is right next to Gorak Shep and if you move fast can be hiked on the same day that you visit EBC. Hope this helps! I’m planning to trek solo in December – January. I read is the low season, with probably a lot of snow. You consider this dangerous? Which equipment would you consider? Your info it’s very clear thank you very much! Thanks for the info Mark, helps a lot. Planning to do the trek in December. Would appreciate any pointers to make it comfortable as I am told the Climate is extremely cold. 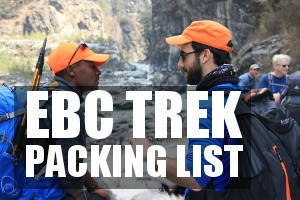 Hi Jeet, there is no official minimum age for the EBC trek, although I wouldn’t take a child younger than 10. In terms of timings I would avoid July – this is the middle of the monsoon season and a terrible time to trek. The best time to go is either Feb-May or Sept-November. Hope this helps. My other is a smoker and we would like to trek to EBC. Please give her some words of wisdom from your experience with smoking trekkers. Hi William, words of wisdom… stop smoking. No in all seriousness, one can trek to EBC and smoke but I wouldn’t recommend it. If at all possible, I would encourage your ‘other’ to abstain from smoking, especially on the upper reaches of the trek.